So after three months of not going home I decided to make the trip back to the homeland to see my family and friends. I had literally 48 hours in which to squash all my visits in and to have an amazing time, so all systems were go the moment I got off the coach. My girls has arranged a suprise for when I got off by making a huge banner and greeting me balloons and cupcakes. Not sure what I've done to have such amazing friends. The next day I went for an over due dinner date with my best friend Sara-Jane to Harvester. Three courses down I was truly stuffed. 4 hours late gossiping it was time to get ready for the antics ahead. Of course I had to watch Wales (obviously win) against England whilst getting ready. 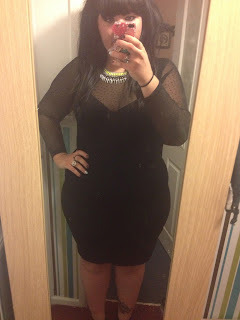 I chose to wear my ASOS CURVE bodycon dress in dobby mesh. 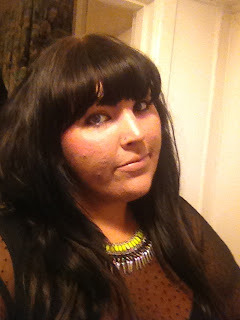 I teamed this with my New Look necklace, seen in my earlier post. 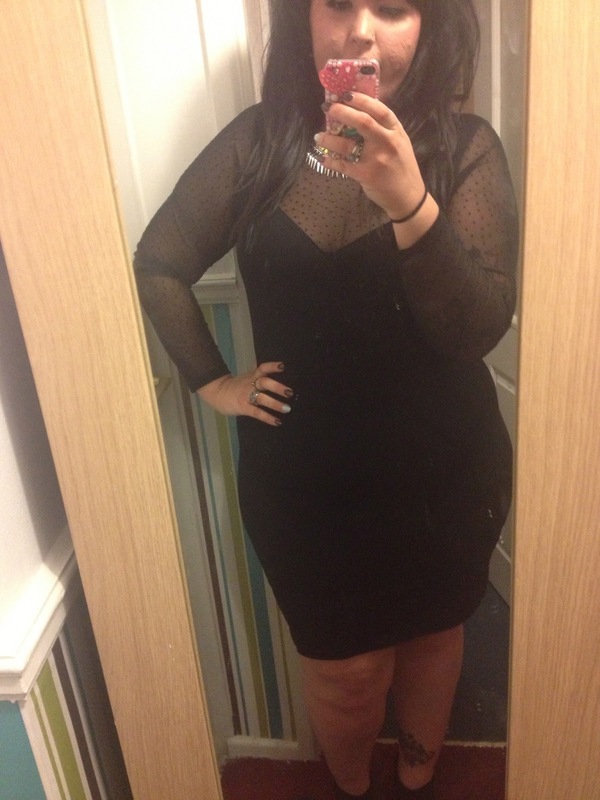 I felt confident and sassy and ready to show Newport what it (obviously) had been missing ;). To finish the weekend off I went for breakfast with my mum ( suffering doesn't sum it up - Hangover from hell) and I visited my dad. My influence is clearing rubbing off on my little sister who got (glitter) tattoos like her big sis ;). 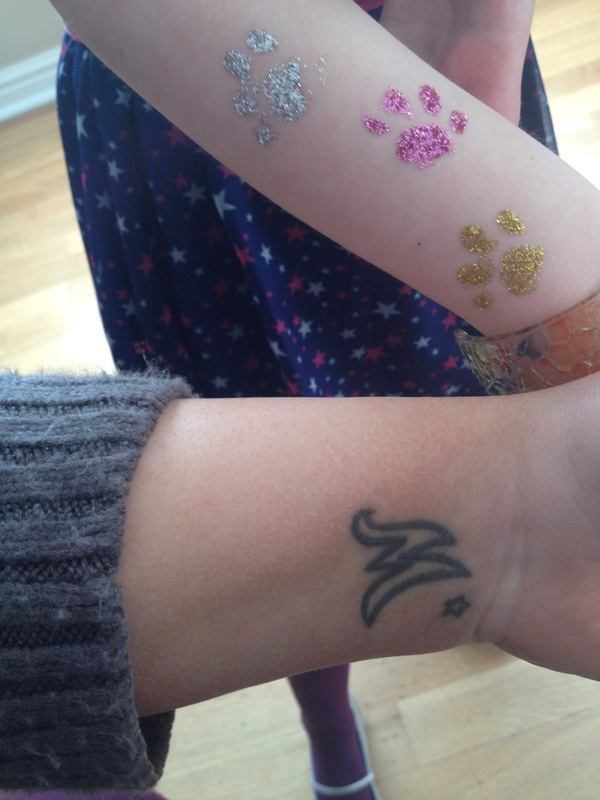 Clearly an influence my parents hope doesn't rub off when she gets older.